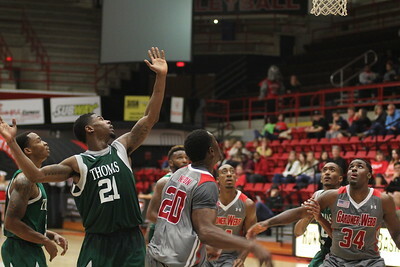 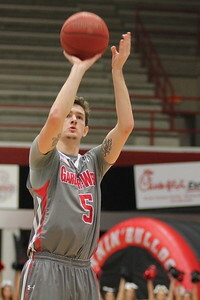 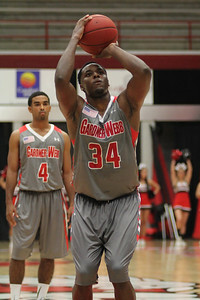 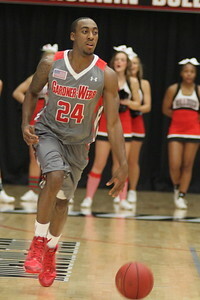 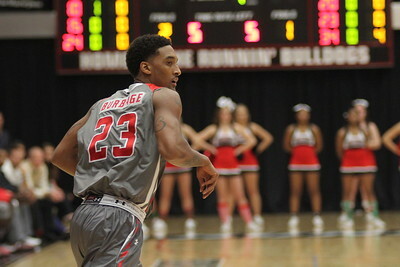 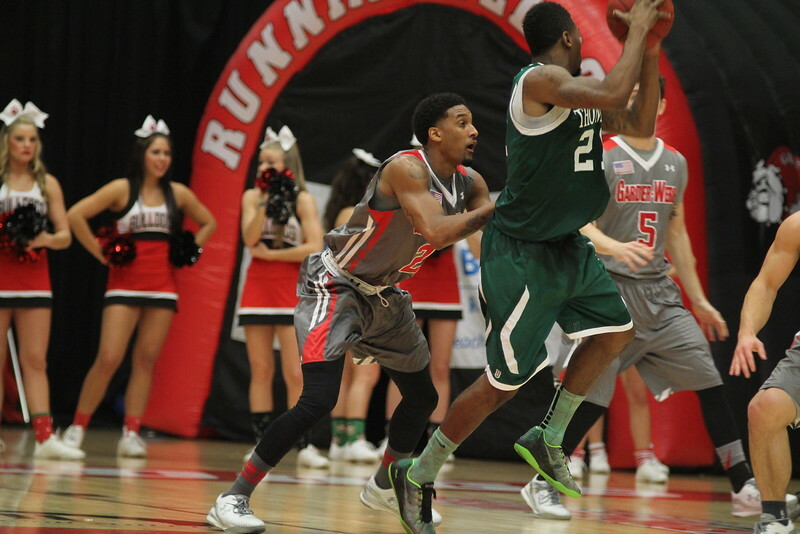 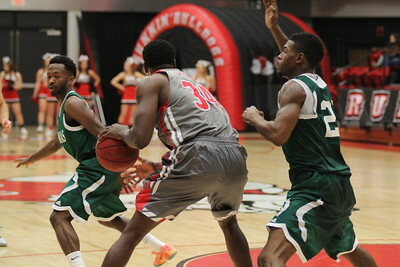 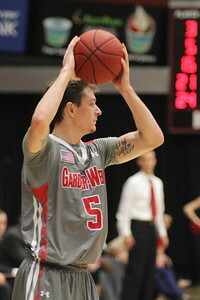 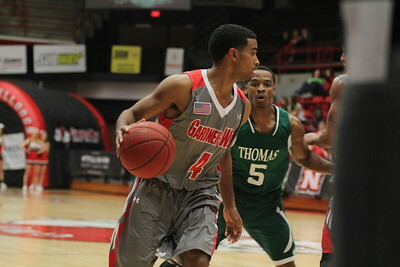 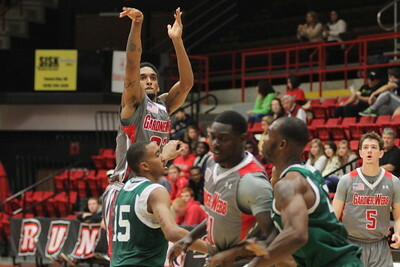 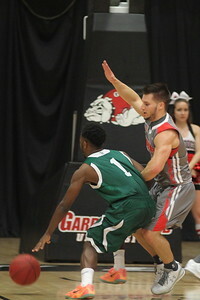 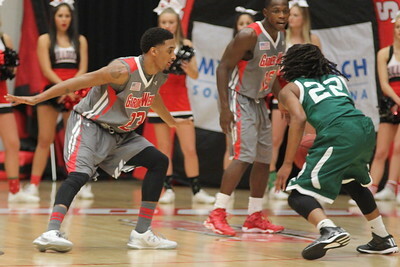 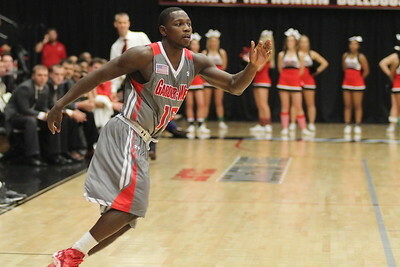 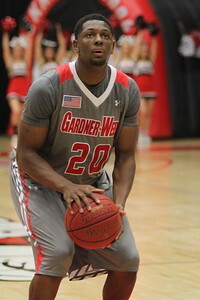 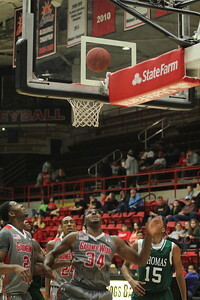 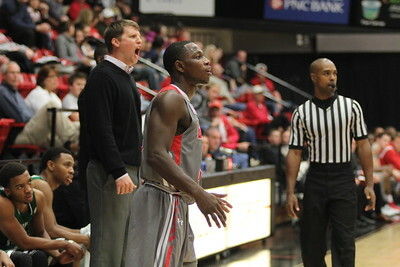 Gardner-Webb Men's basketball team trumps Thomas University 82-66 on Saturday evening December 6th. 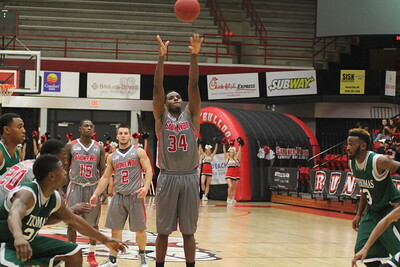 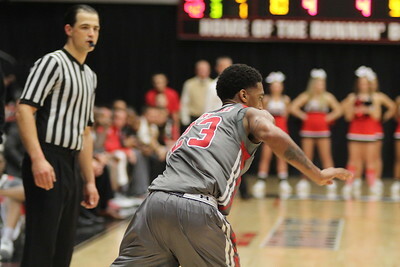 34, Jerome Hill makes free throw. 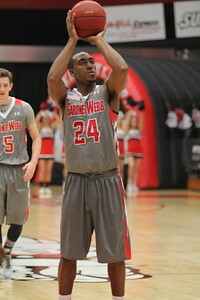 20, Tyrell Nelson makes free throw. 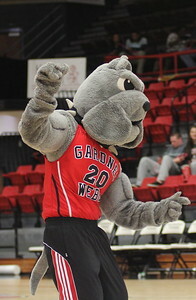 Mac our GWU Bulldog dances during a media timeout. 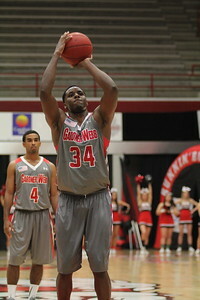 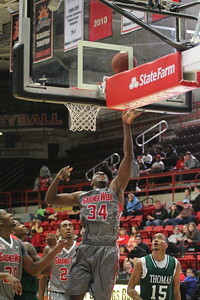 34, Jerome Hill shoots basket. 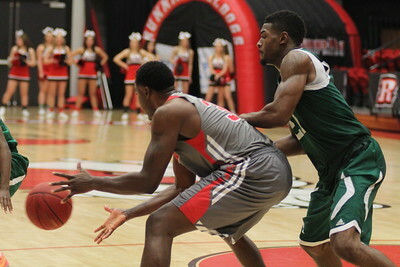 23, Adonis Burbage blocks opponent. 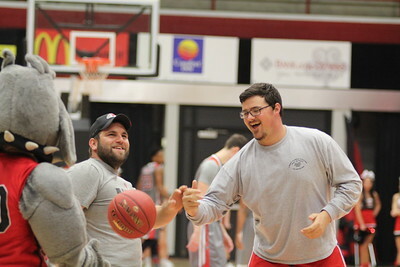 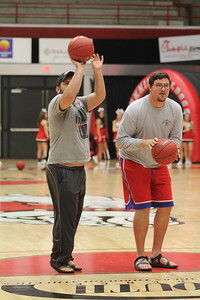 Students Micah Honeycutt and James Mauney compete in free throw competition during timeout. 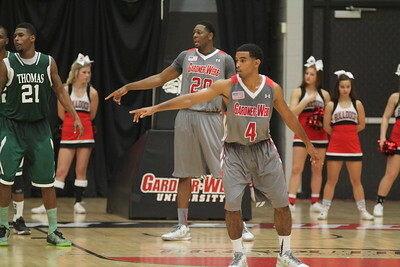 Cheerleaders entertaining the fans during timeout. 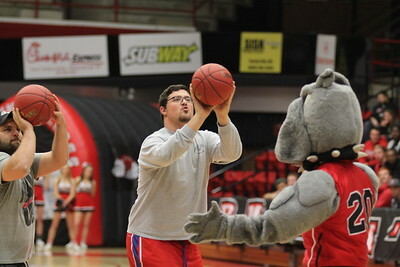 Cheerleaders entertaining out fans during timeout.